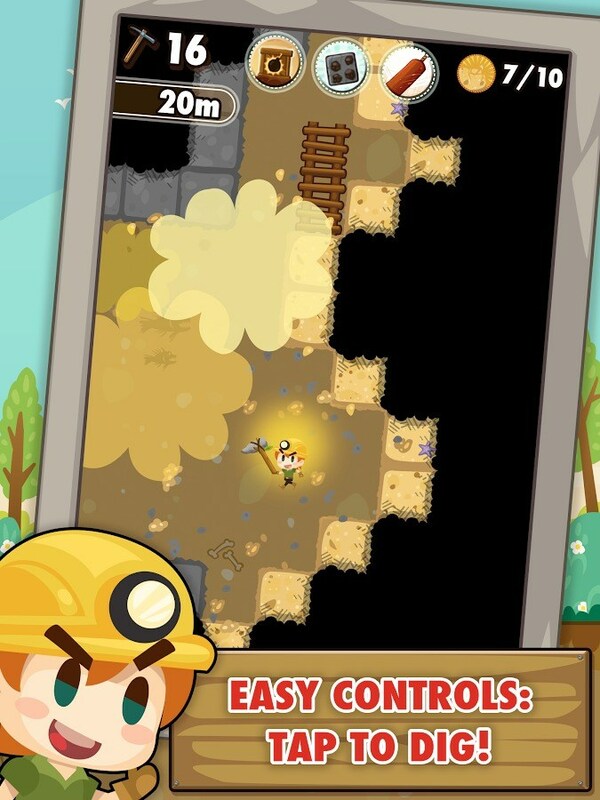 Pocket Mine – Games for Android 2018 – Free download. 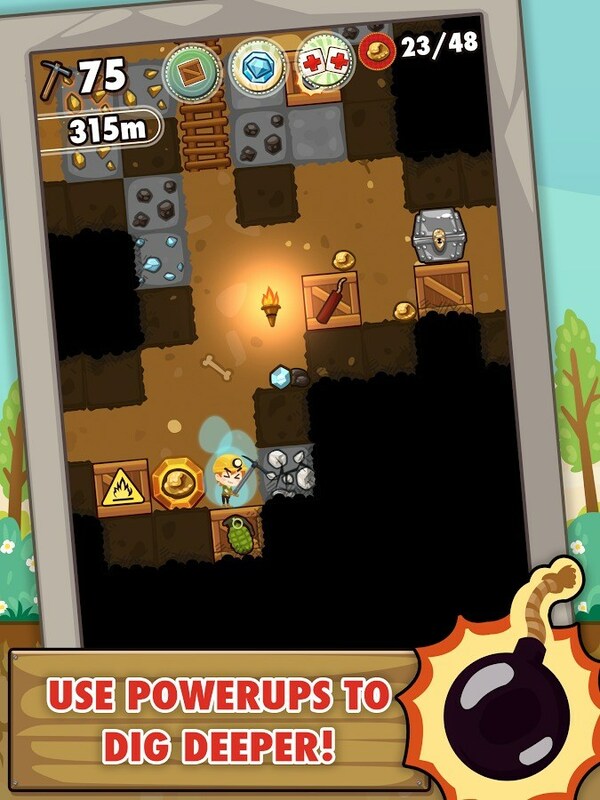 Pocket Mine – Unusual endless arcade game. 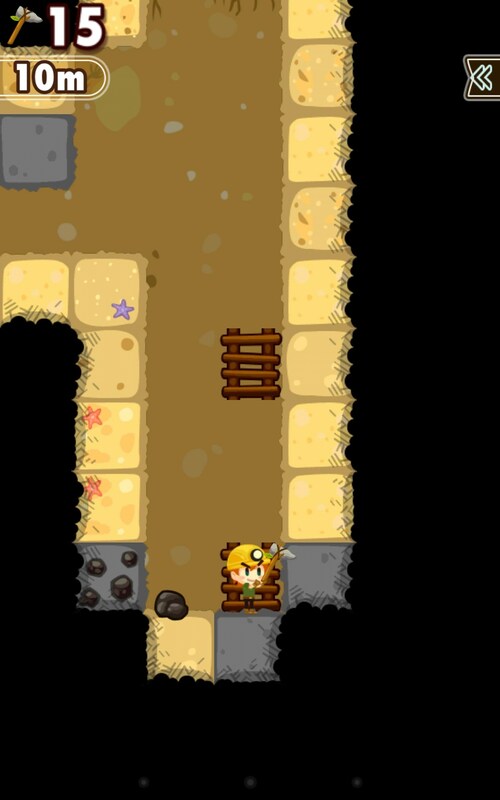 Pocket Mine - is a fun arcade infinite for Android, where you need to quickly dig a tunnel under the ground and climb up as far as possible. The game is given a certain number of beats that we can put on the block, and the screen is constantly shifting down. Creating a game studio is engaged Roofdog Games, which had already become famous through interesting arcade racing - Extreme Road Trip 2 . 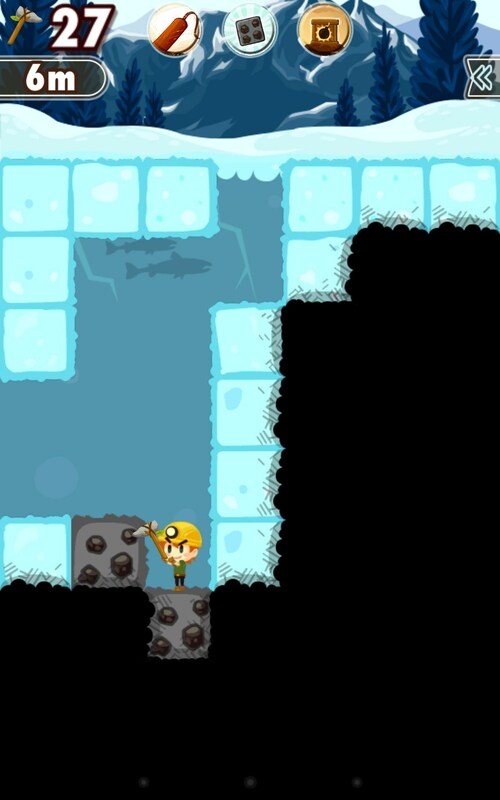 The idea of ​​the game both projects is very similar: initially given a limited supply of energy, we fills glasses and buy new weapons to climb as far as possible. Control of the game is very simple and is carried out with one finger: just click on the block who want to beat. Our hero moves himself to it and smashes a block, you can also click on any object and character to come to him. If it is just above the place where he resides, he climbs the ladder and build on it. 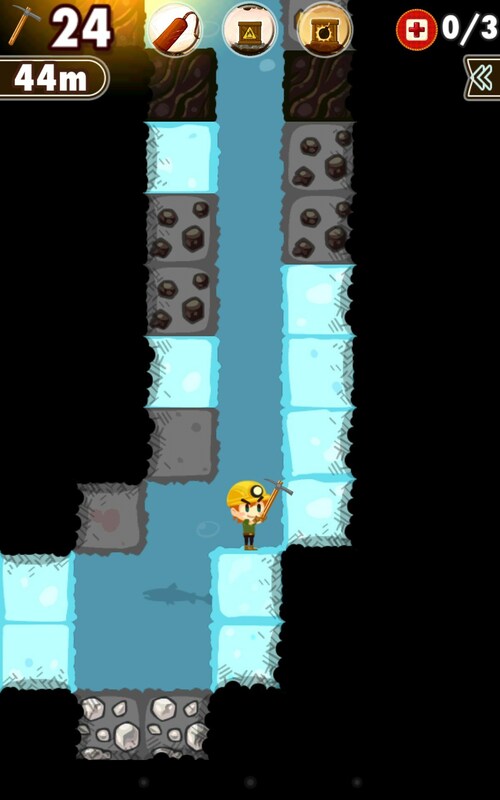 Visual component in Pocket Mine made at the highest level, a great graphical style, good animation effects, pleasant atmosphere of adventure. A game to us quickly gets bored, every time we find ourselves in a new location, it may be a desert, jungle, ice, and so on. 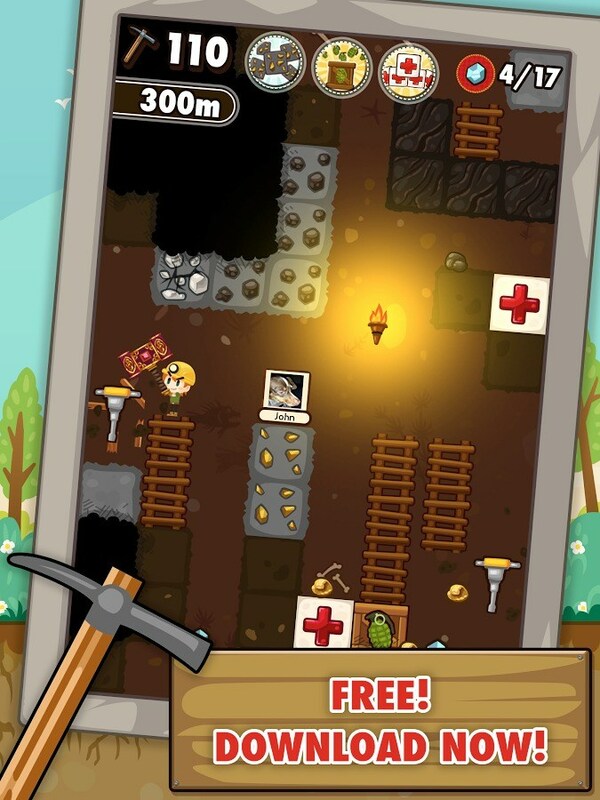 Breaking stones on its way, we can also find useful bonuses - dynamite, grenades, fire, first aid kit and the like, all of which help us to climb even further. 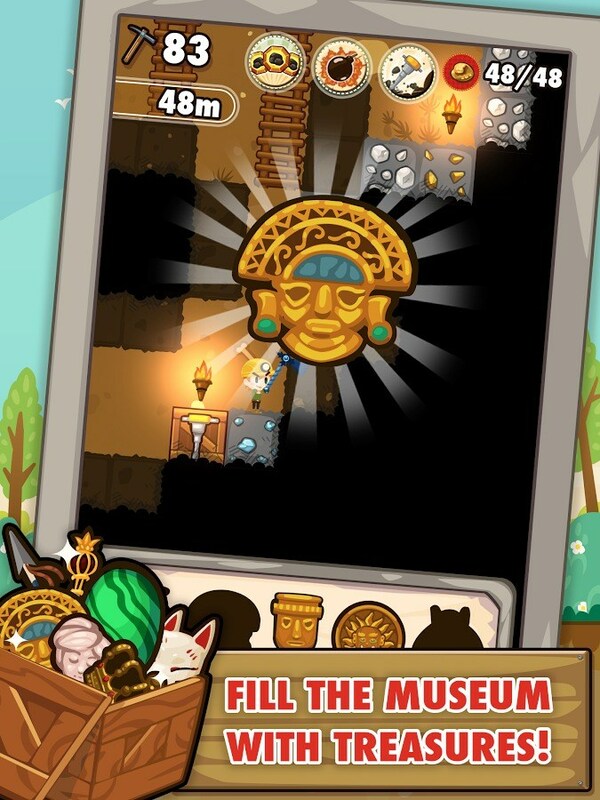 In some stones hidden ancient artifacts, gathering a collection where you can get a nice reward. 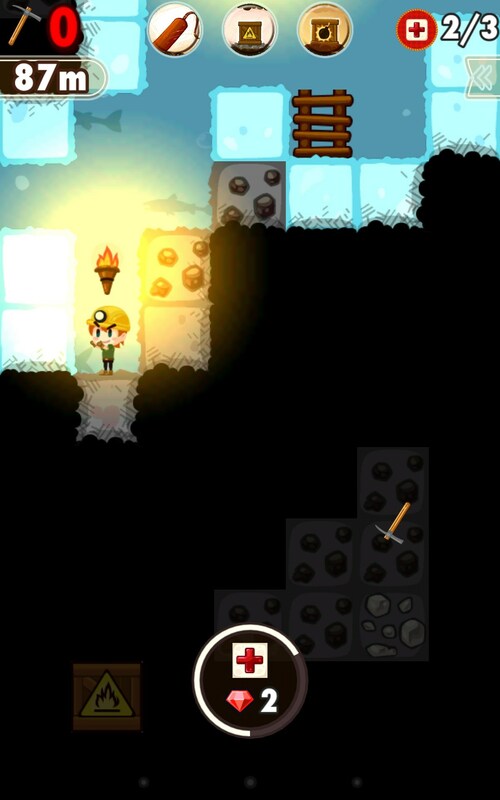 On points earned can be improved pickaxe (increased number of shocks) and buy bonuses. 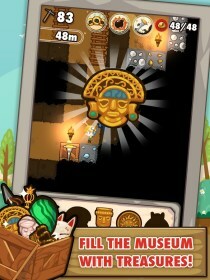 The disadvantages include the game too long pumping, the first visits last about 1 minute. Becomes fun to play only 10-15 minutes later, when they bought picks for improvement. Summary. Pocket Mine - it's a great original arcade game for Android, persuasive Player nice graphics and unusual gameplay. 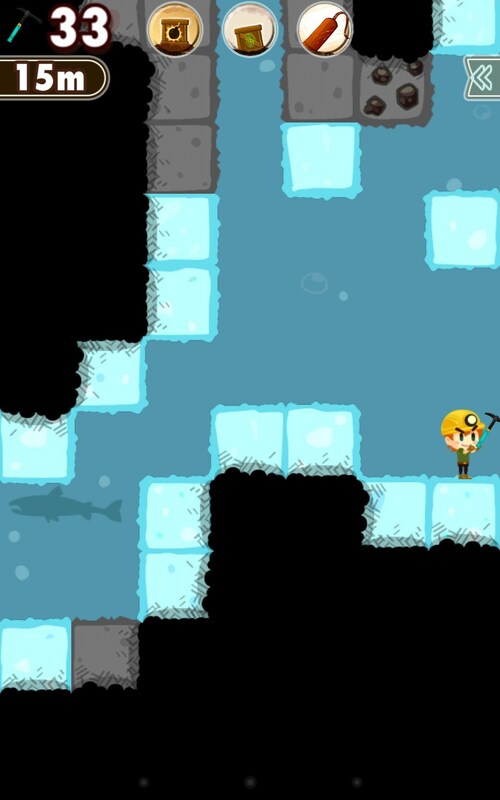 After 30 minutes of hard digging the pit, the game is not sick, a great thing for a slew of free time.